As previously reported, the Commission has obtained a grant from the Society of the Holy Child Jesus to follow up our workshop about Family Poverty with a programme of small group meetings suitable for use in parishes and other small groups. We are delighted to announce that we are partnering with Church Action on Poverty (CAP) to develop the programme of 4-6 meetings. The Project Steering Group has held an initial workshop with CAP and they will be developing the materials over the course of the Summer. Our aim is to have the materials ready to try out in a limited number of parishes starting in October. After ironing out any wrinkles in the programme our plan is to make it available more widely from the start of 2019. 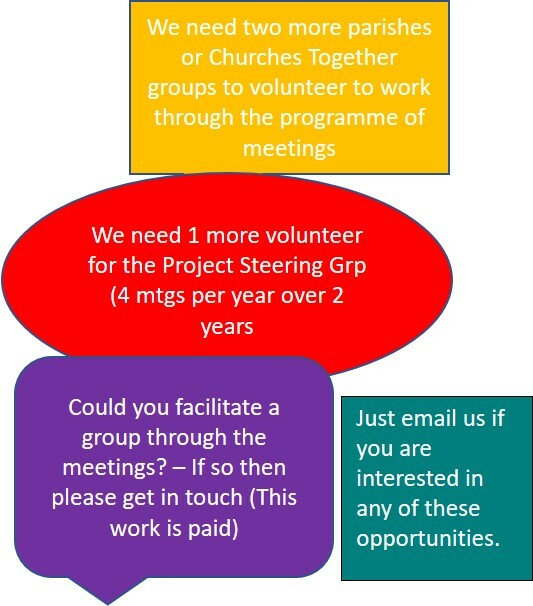 So far, two parishes have volunteered to work through the programme on a pilot basis.